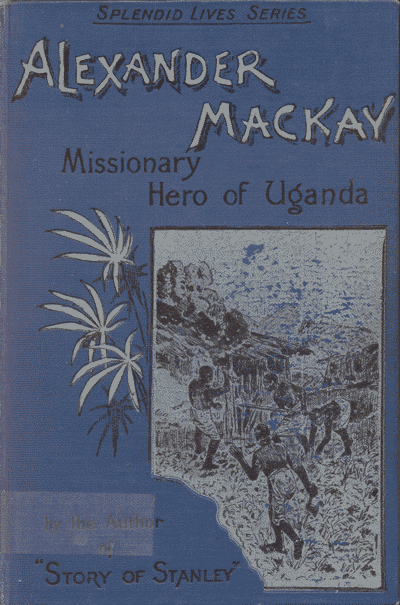 Alexander Mackay [1849-1890] was a Scottish pioneer engineer missionary to Uganda and worked with the Church Missionary Society. John Roxboxborough notes that: “Mackay’s spiritual depth and practical skills were popularized by his sister’s biography and admired for generations.” [Evangelical Dictionary of World Missions, 589]. This biography written by Andrew Melrose [1836-1901], who also wrote under the name E.A. MacDonald, and is in the Public Domain. It was in the early part of 1876 that I made the acquaintance of A. M. Mackay, when, having offered for the mission to Uganda, I went up to London to meet those who were to be my fellow-missionaries in the ‘Dark Continent.’ He sailed before me to Zanzibar, but we met again / there for a short time. Then I left the coast with our first caravan, and a long time was to elapse before we were to see each other again.